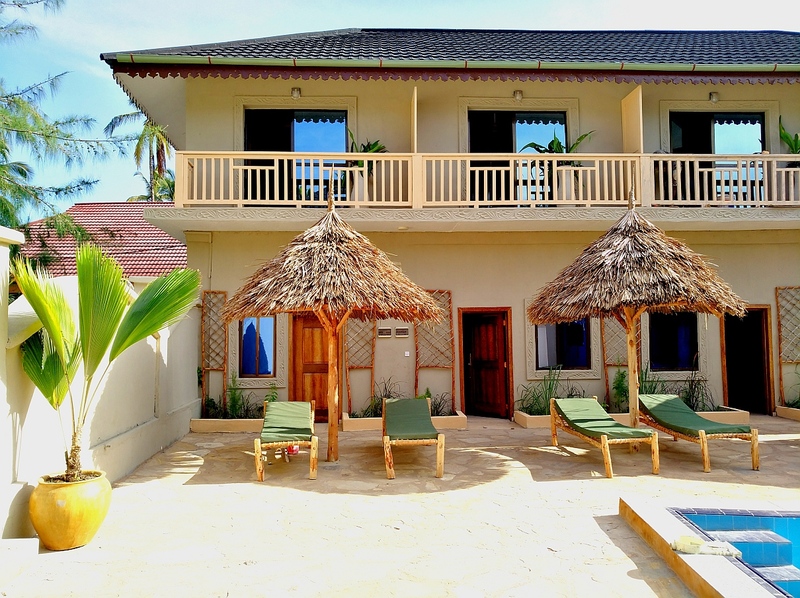 Amazingly located surf apartments a stone's throw away from the beach in the small village called Paje on the Southeast Coast of Zanzibar. These apartments are the perfect solution for surfers and kite surfers who want to stay just a few steps from the water. 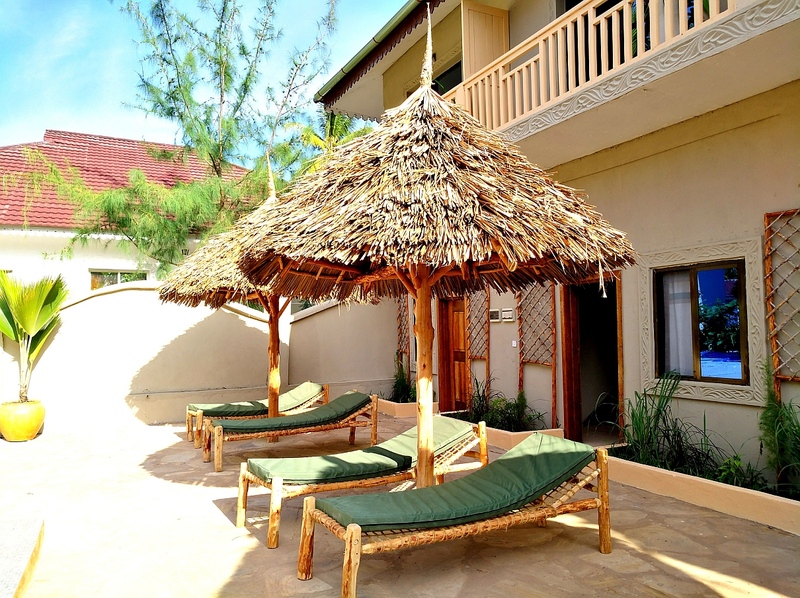 The Kite & Surf Center is right on the beach, 150m from your room. 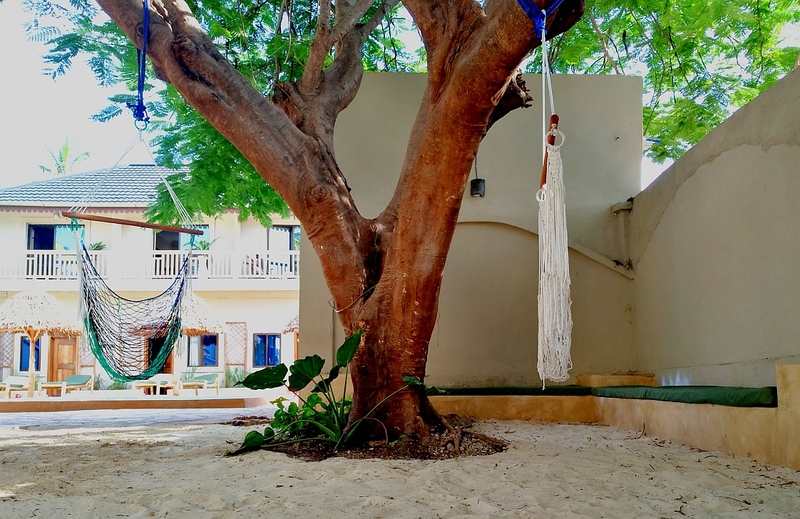 Zanzibar is a coral island with endless sandy lagoons and white beaches. The tropical 27 degree water with its thousands of shades of blue invite for watersports such as Kitesurfing, Diving, Surfing, Snorkeling or Stand Up Paddling. Paje is a true paradise for all ocean lovers and our on site waterspouts centres cater for all your salt water needs. There is nothing better than spending a day out on the boat in Zanzibar. During your stay you will experience the huge tides on the Southeast Coast, which create lagoons and are the main factor influencing the surf on the island. The reef is between 800m to 2km off shore and surf spots can be reached by boat from Paje or Dongwe, depending on the season and level of surfer. The Water Sports Center will arrange daily guided charters to the best spots according to your level. To get to the beginner surf spot it takes about 10 minutes by taxi, but the transfer is always included when booking a trip with he Water Sports Center. More intermediate and advanced surfers can join trips to the Jambiani reefs, which start from the beach right in front of our apartment buildings. If the winds are too strong and waves blown out you can try some kitesurfing, which can be done right from the beach in Paje. Surfing and Kitesurfing are mainly done over low tide, as the conditions are the best with less water on the reef. A great high tide activity is Stand Up Paddling. You can rent a SUP in Paje or join a guided SUP trip to the waves off Dongwe, which is a 10 minute paddle from the beach. There isn't much info on wave surfing in Zanzibar on the web, but you can be sure to get the best local knowledge when joining a trip with us. 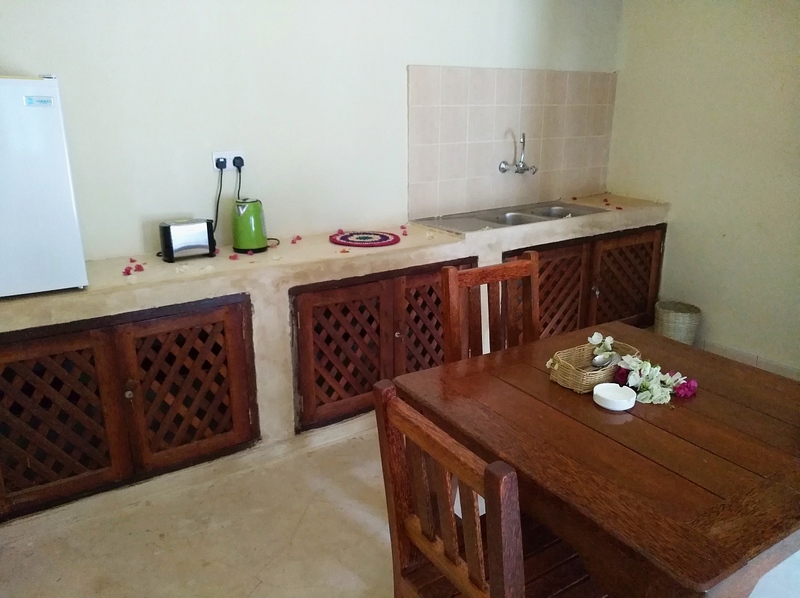 The apartments are tucked away in a cosy courtyard in a small village called Paje on the Southeast Coast of Zanzibar. 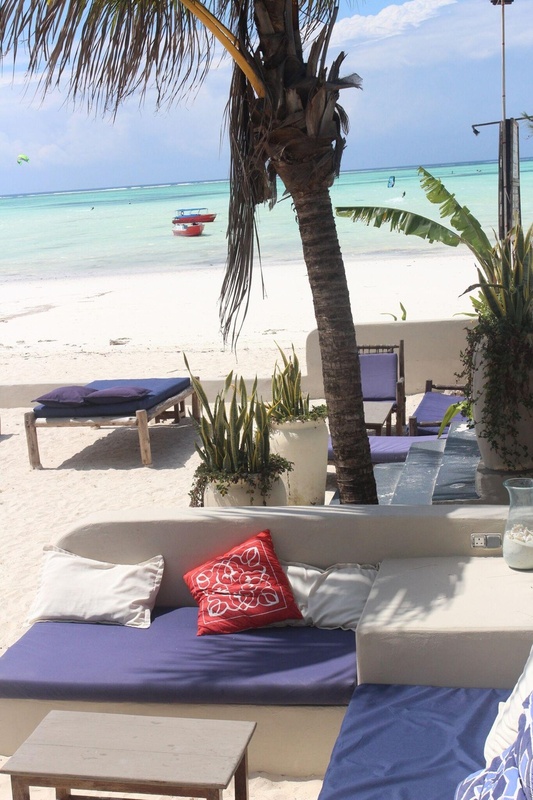 One of the most beautiful stretches of beach is only a short 150m walk away from your room. The beach facilities of Ocean Restaurant, which is 150m walk from the apartments, can be used by the guests. This is also where you'll receive your breakfast in the mornings. 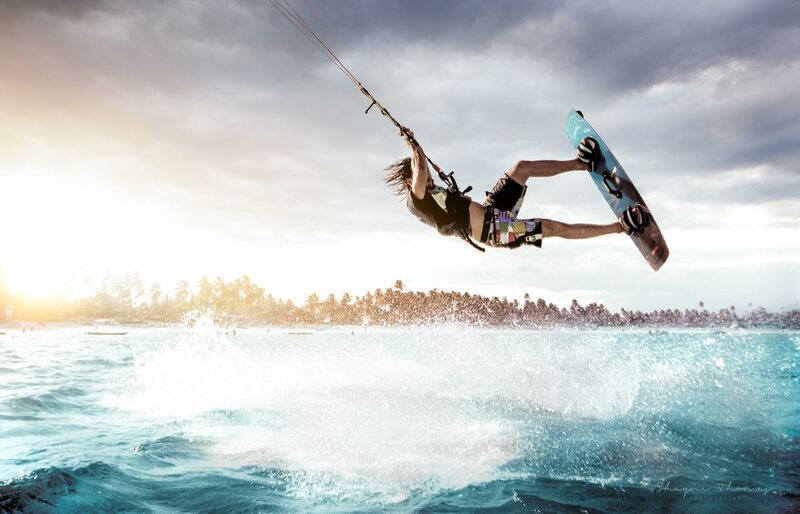 The water sports center can also be found on the same compound and day tours and all kinds of watersport activities can be arranged from there. 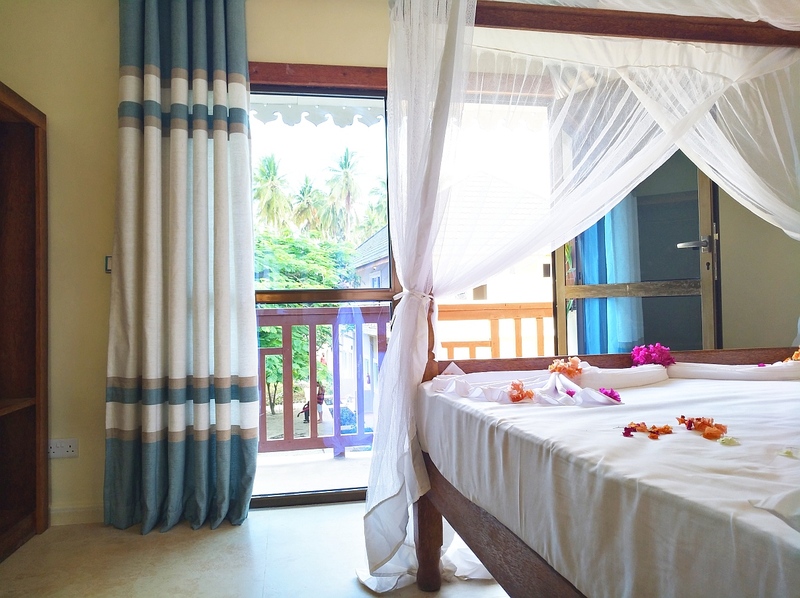 The secure property has a total of 8 rooms, which are all nicely located in 2 buildings around our garden and pool. 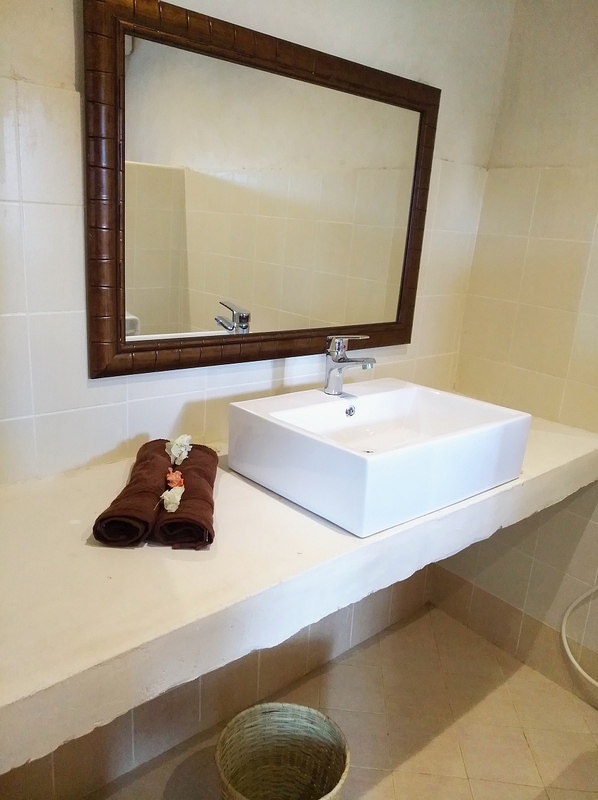 The facilities of the property include a communal garden & lounge and a pool with sunbathing area. 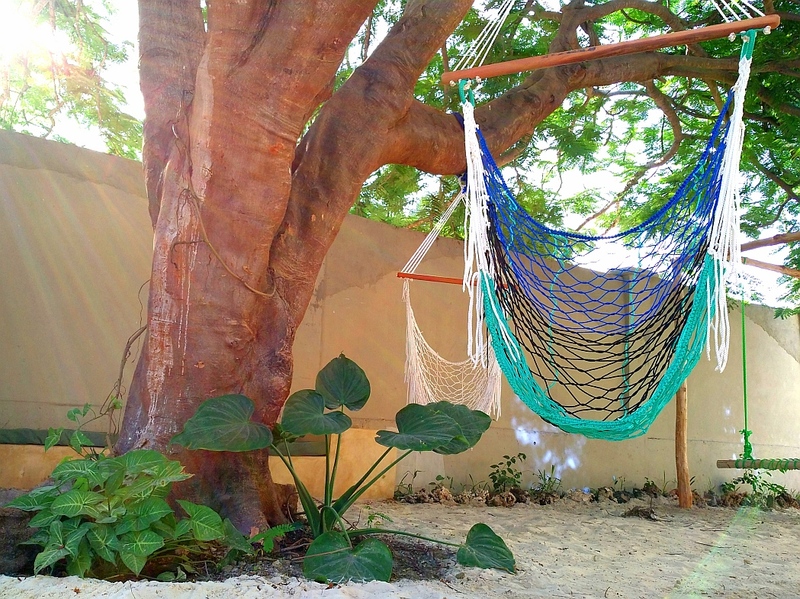 You can find many spots to chill out and meet like-minded travellers. All apartment-style rooms have two storeys. 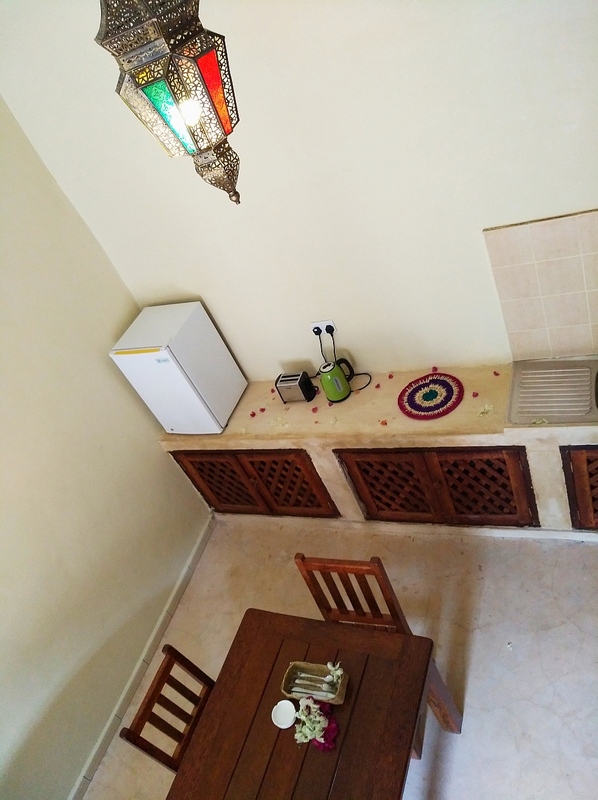 The downstairs area consists of a lounge and kitchenette, simply equipped with toaster, kettle, fridge and basic cuttlery to prepare snacks and store cold drinks from the supermarket. 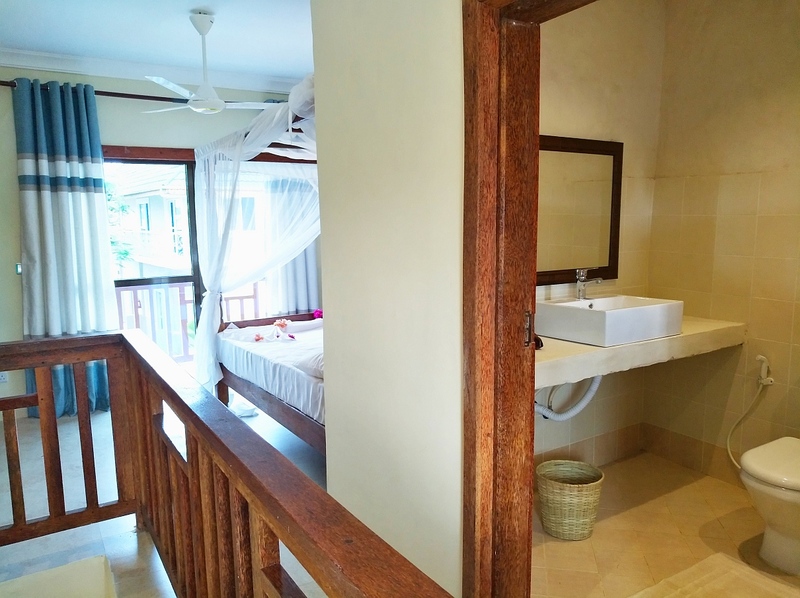 The bedroom with ensuite bathroom and private balcony can be found upstairs. 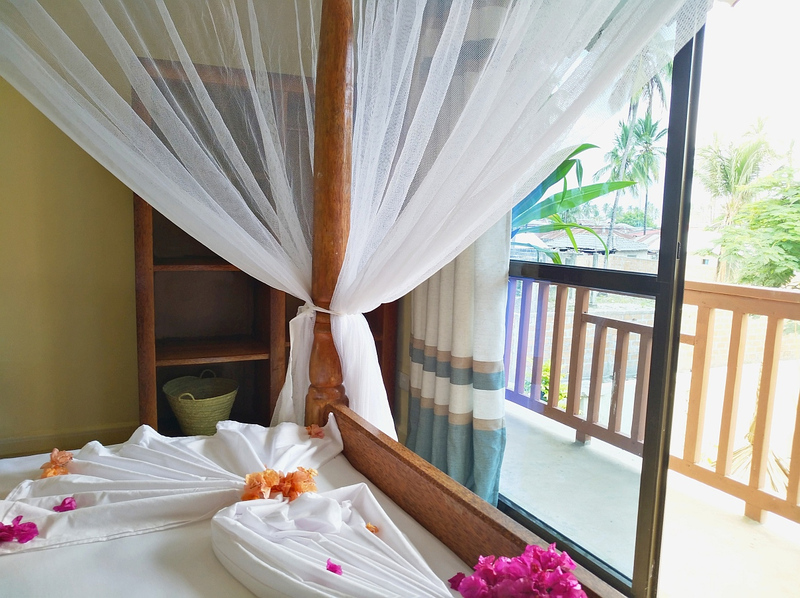 All bedrooms are equipped with a King size double bed, mosquito net and fan. The bathroom has a hot water shower. 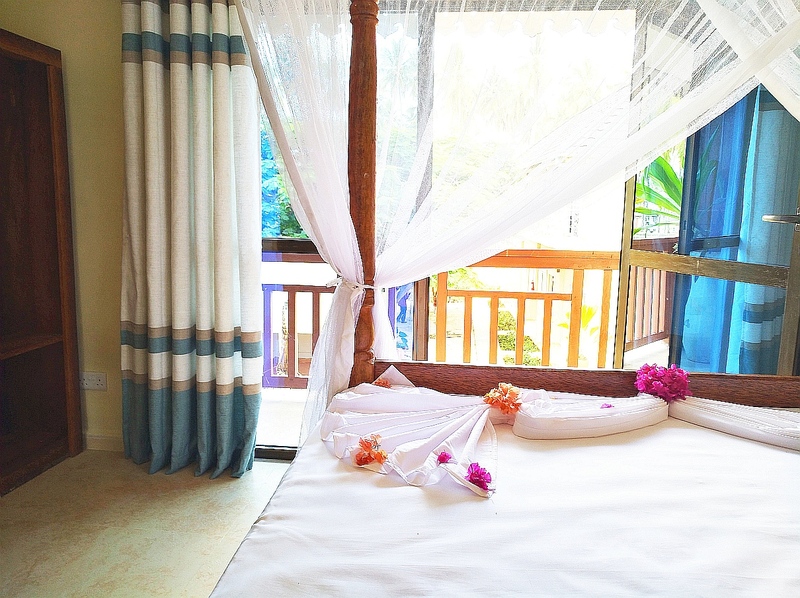 All rooms have pool or garden view. 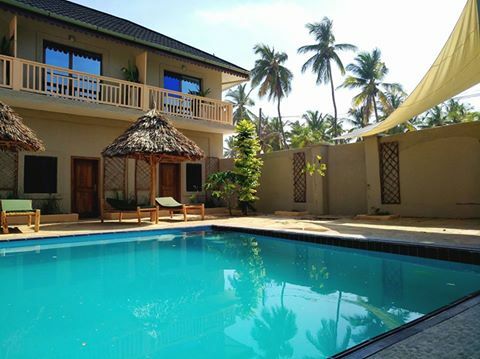 Zanzibar Kite and Surf House is great to relax and wind down after a day in the water and away from the busier beach. In the afternoon the neighbouring beach bar offers happy hours in the early evening hours and for those that like drinking games and some fun with a good crowd, a backpackers next door has some great vibes going around. The surf season in Zanzibar starts in June to October and then again from middle of December to middle of March. 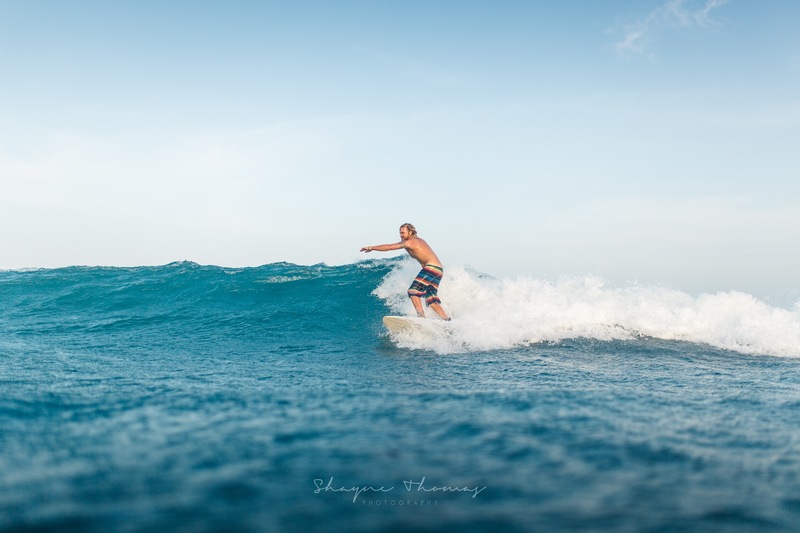 The surf peaks in July, August, September, January & February but conditions are perfect for beginners all year around and fun uncrowded waves for the more experienced can be found on a daily basis as well. Surf is not world class such as Bali, but the uncrowded tropical conditions pay off for it. All our surf spots are only accessible by boat and it is important to plan the surf trips on the right tides. You get a window of a few hours of surf per day over the dropping tide, low tide and first push. Once there is too much water on the reef waves tend to get too soft to surf and the current picks up. But, over mid and high tide you can still have fun wave sessions on the SUP board, if the wind isn't up too much. All spots are less than 10 driving minutes away from the house and trips to some spots start launch from the beach in Paje. As surf conditions and wave quality are very tide dependant, schedule and spots can change on a daily basis. Join us and you'll have a great surf trip provider to fill you in with the conditions and forecast and advise on which trips to join. SURFINN © 20-04-2019 12:38:49. ALL RIGHTS RESERVED.